I help small business owners write their online content so they can use their website to attract new customers like ants to ice cream. Ten years ago I was trapped in a grey office, writing internal communications that met strict corporate guidelines (shudder). I escaped my cubicle, abandoned a steady salary, and leapt off my career ladder, so I could build a business I love, helping other business-builders build their businesses using the magical connection-creating power of words (sorry, I love alliteration and tongue-twisters). Hey, Laura, why would a copywriter want to teach business owners to write their own online content? Aren’t you doing yourself out of a job? Excellent question, Imaginary Interviewer! Thanks for asking it. I love writing. Connecting with my audience is one of the things I enjoy most about running my own business. But not everyone feels that way. And I found that many of my copywriting clients needed more than just new content - they wanted to know HOW to write their own new content. They could clearly articulate their message when they were speaking to actual real-life humans. But as soon as they tried to share their ideas in black and white text, all they ended up with was a blank screen and a headache. Sure, after working with me, they’d have shiny new website content, a clear picture of their target audience, and a strong tone of voice running throughout their copy. But they still struggled to communicate with their audience confidently and clearly. And that left me feeling flatter than a steam-rollered pancake. I wanted all business owners to enjoy writing content for their people. So I developed templates and tutorials to help business owners create their own online content while upgrading their copywriting skills. Who the heck are you to be doing this? Woah - harsh! Although, in my darkest moments of entrepreneurial wobbles, I do find myself asking the same question. I’m not a qualified teacher (although I do home-ed my two sons, so I’ve certainly got experience with facilitating learning). I am a qualified copywriter. While meandering through a selection of Marketing and Communications roles in a financial services company, I developed a love for writing and creating web-based content. 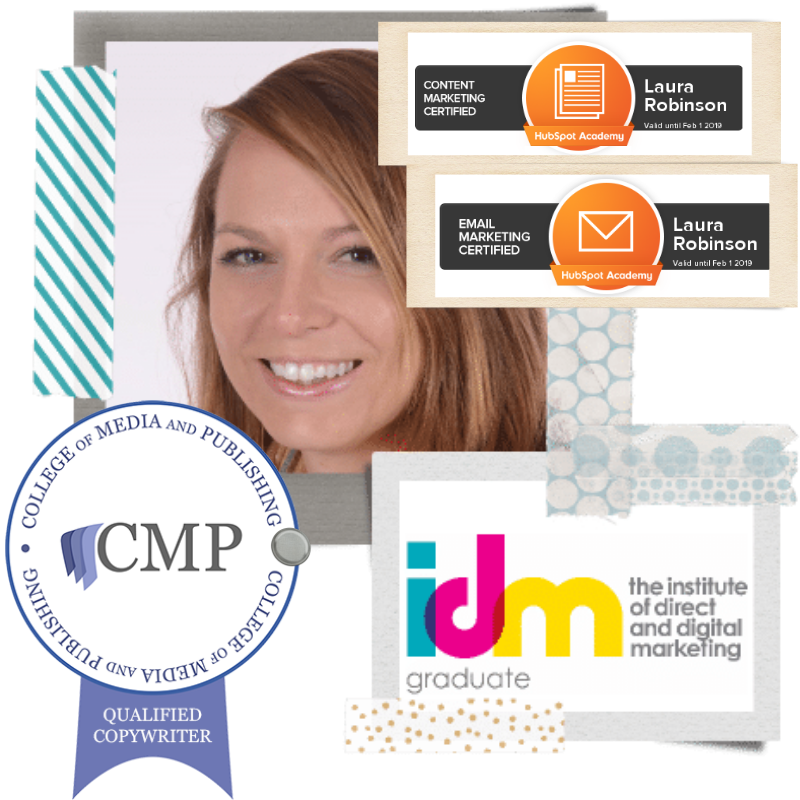 I completed an Award in Direct and Digital Marketing with the Institute of Digital Marketing so that I could update my marketing knowledge (I got my Business Management degree back in 2002, and the online world had changed a lot since then). Since then I’ve completed a Diploma in Copywriting with the College of Media and Publishing, and an Advanced Certificate in Digital Copywriting with the IDM. I’ve written more than a million words of marketing copy for online businesses. 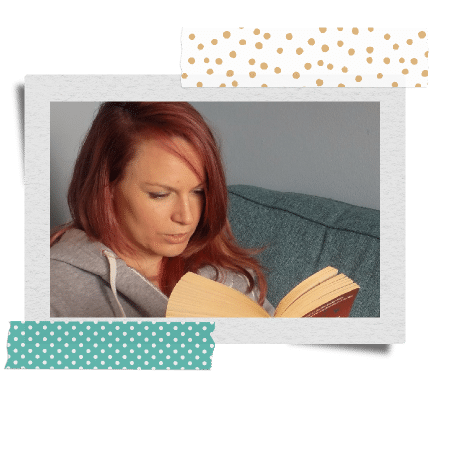 I’ve devoured dozens of marketing and copywriting books, binged on professional training, and immersed myself in whatever materials I can find so I can keep improving my copywriting and marketing skills. 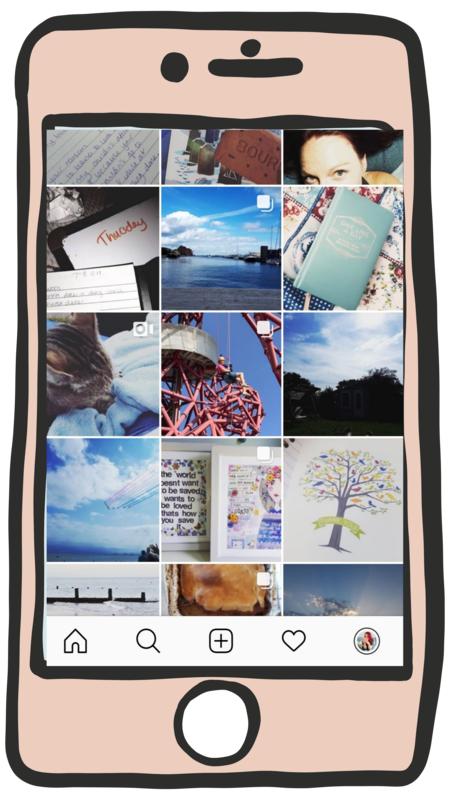 Why is your Instagram account so dull? I try to post interesting photos, honest. But my life is pretty laid back and fairly repetitive. I balance my business with home-educating my sons (aged 13 and 12). We live just a mile from the beach so we spend a lot of time there. We also love walking over fields, through woods, and pretty much anywhere with mud, birds and daylight. The rest of the time I’m either working, learning, or reading. So basically my Instagram account features multiple photos of the beach, books, and my view when I’m basking in the sunshine in my garden. Occasionally one of my two tabby cats will make an appearance. 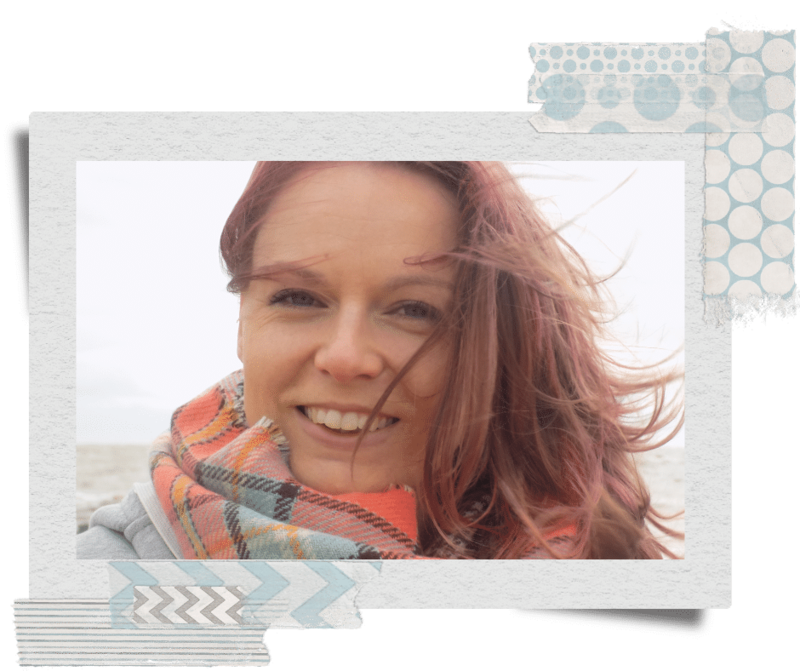 Laura has written over a million words of copy for websites, blog posts and social media content, while working as a digital copywriter. She has a First Class degree in Business Management (King's College London), an Award in Direct and Digital Marketing (Institute of Digital Marketing), a Diploma in Copywriting (College of Media & Publishing), an Advanced Certificate in Digital Marketing (Institute of Digital Marketing), a Certificate in Content Marketing (Hubspot), a Certificate in Email Marketing (Hubspot), a full clean UK driving licence, a Diploma in Insurance (you never know when one of those might come in handy), an Associateship of King's College (philosophy & theology), 5 A-Levels, 10 GCSEs and a handful of Girl Guide badges. For more information about working with Laura click here. Guess that means you want to dig right into the juicy personal stuff. I'm 37 years old and I live in a seaside town in Essex, UK, with my husband (Dan), our two sons (Sam & Callum), and our tabby cats (Poppy & Flossie). I love cycling along the beach, walking along the beach, and drinking coffee while sitting on the beach. The sound of the waves crashing against the shingle is my second favourite thing to listen to - my first favourite thing to listen to is my sleeping children (I love them the most when they are asleep). Simple pleasures, like family movie night, make me happy. Being hungry, cold, or too hot make me mad. Sitting on the sofa, book in one hand, coffee in the other, birds singing in the garden, children playing in the next room - that is where I find my heaven. Whatever help you need - use this button to get in touch.